The battle for the hearts of our students is not a new one. The world has always been vying for our students’ faith – attempting to offer them something more quickly gratifying to place their faith in. However, it seems that now, more than ever before, we are seeing a movement in Christian culture that desires to offer our students something even more dangerous. It is the offer of “faith,” masked as the gospel. But this faith only takes the parts of Christianity that are comfortable, and discards the parts that are not. In a culture and generation that seeks affirmation of self, the gospel still stands true. It will never agree fully with a sinful people and it shouldn’t. 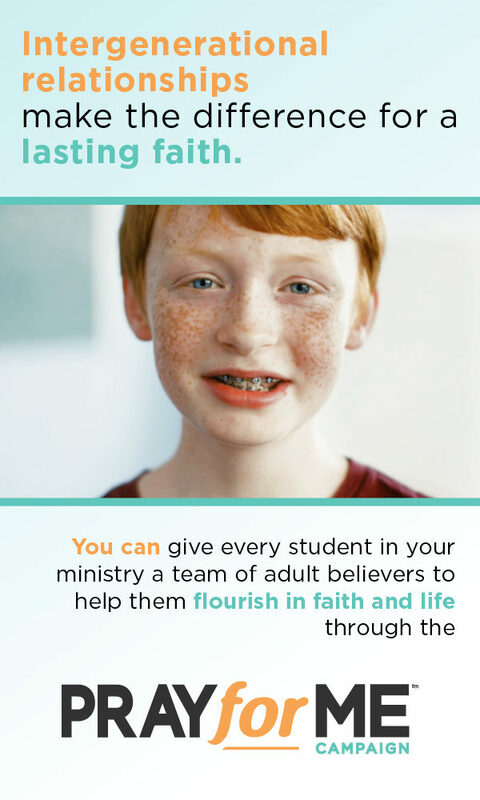 Knowing our students are in a battle for their faith, how do we train them? It is only by teaching them to read the Scriptures for themselves. If they are to stand against the schemes of the enemy, if they are to build their house on the rock, then they must learn how to study the Scriptures for themselves, not just under our leadership. Think of it this way: in class, the teacher would never ask the students to flip open the textbook to just any random page, read the paragraph right in the middle of that page, close the book, and then expect them to feel completely prepared for the test. No. Instead, the teacher moves thoughtfully through each chapter, sometimes covering one chapter before another, but always with the desire of providing the best building blocks for the retention of information. The same should be true of our teens as they study scripture. If we desire for them to deeply understand the truth of the Bible, they must move away from a casual study of it. They must read with more intention than merely ticking a box on their to-do list; they must study Scripture in a way that will train them in the Word and prepare them to give it back. A student could read the textbook for a class on their own and probably do okay on the test. However, when supplemented with wise teachers, students come out with more than simply a passing grade. They have been trained by a master in the subject. The same can be said in the study of Scripture. While our students must know how to read it for themselves, there is great benefit in also marinating in the teaching and preaching of others. The solid preaching and teaching of others will challenge our kids and draw them deeper into the text – deeper than they could go on their own. It is also important for them to know or be able to discern that a teacher is reliable and sound. The key to this is that they never take any word (not even ours) as absolute truth until matching it with the Scriptures. We often indicate that the study of the Bible is a solo act. While personal time with the Lord and His Word is important, studying the Scriptures does not have to – and should not – be exclusively done alone. As our students walk through the story of God’s redemption, we should encourage them to invite others into their journey. It is critical help them seek out mentors to personally guide them through their questions and understanding. A key truth to studying the Bible is that it is coherent. This means the Bible – while written by multiple authors – was divinely inspired by one author, the Holy Spirit. Because of this, it does not, and cannot, contradict itself. All of Scripture is one story being revealed over time and in many ways. If there is ever a question with one passage, our students can use other passages to help them understand it. We must teach our students to look back at how God has revealed Himself in the past, and to know that He is the same God in the Old Testament as in the New Testament and still today. Our human tendency is often to approach the Bible like we would Siri. We open it with a particular question and expect a direct answer. Another approach is to view Scripture as fairytale – expecting each story to present a moralistic standard to live by. While the Bible does teach and train us how we, as believers, should live our lives to the glory of God, we often too quickly jump to a conclusion that may not be true of that particular text. This trains our students to come to Scripture for the sole purpose of seeing how it applies to their lives. Yet in doing so, we miss the grand narrative of God’s redemption. God has not placed Himself into our story. He has placed us into His. Our students must learn to come to Scripture seeking to know God better, not just themselves. With culture being ever more persistent in convincing our students that there can be more than one way, we must take up our sword to fight. Our aim must remain to make disciples of Christ, and not disciples of ourselves. While we want to claim with Paul, “imitate me as I imitate Christ,” we must desire – above all else – that our students can discern what it is to imitate Christ. May prayer is that my words are never louder in the lives of my students then God’s. For I know that even my words may fail, but the Word of the Lord never will!